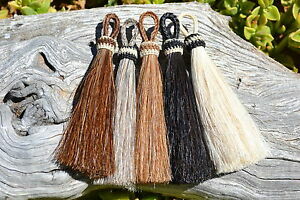 Details about 100% Natural Horsehair Bridle Breast Collar Tassels - 5 1/2"
I will ship within 3 working days of payment receipt. International buyers must use PayPal and contact us for a shipping quote. ⭐⭐⭐⭐⭐ Great Product + Great Service = Great Seller ⭐⭐⭐⭐⭐ Super Happy 👌 Thanks!